Camp moc three eyelet tie. Leather linings and removable leather covered cushioned insole. Padded collar and quarters. Extralight EVA rubber sole. Made in Portugal. Camp moc three eyelet tie. 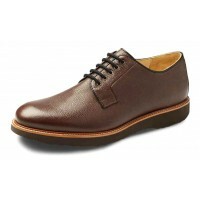 Leather linings and removable leather covered cushioned insole. Padded ..